KenyaBuzz is the leading provider of event and lifestyle information in Kenya. Through our various media- website, newspaper and e-newsletters, we provide the most comprehensive and accurate information about what’s happening around the country in sports, nightlife, music, theatre, movies, the arts, kids events and more. KenyaBuzz also provides business listings, movie reviews and updates, buy and sell information and a wide range of lifestyle information. · Maintaining sales volumes by keeping current with supply and demand, changing trends, economic indicators, and competitors. · Supporting and guiding the team efforts as and when required. · Demonstrable success and track record in sales planning, relationship building and sales target achievement. · Negotiate contracts, user agreements, and other engagement documents for ticketing with KenyaBuzz are properly documented. · Manage internal and external teams assigned to events. · Experience in ticketing and events sales is an added advantage. The Business Executives will be responsible for selling creatives and innovative TV advertising solutions while providing effective services for maximization of advertising share. The successful candidates will report to the designated Business Manager. · Develop and implement plans for increasing sales volumes and market share. · Demonstrable strength in client service and continuous growth. Nation Media Group seeks to recruit experienced and self-motivated Freelance Business Solutions Executives in the Advertising Department. 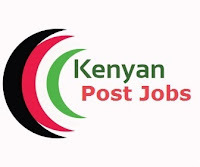 Reporting to Business Solutions Manager- Business Daily, the ideal candidates will have the overall responsibility of initiating and executing sales while promoting and developing effective advertising solutions to clients. · Contributing to the team and functioning within the organization’s corporate culture and values. · Ability to cultivate long standing client relationships. If you meet the above criteria, apply online at http://www.nationmedia.com/careers/ on or before April 28, 2019. Note: We shall only contact the shortlisted applicants.